The FCC publishes its ruleset in the Federal Register, and the United States Telecom Association goes to court. 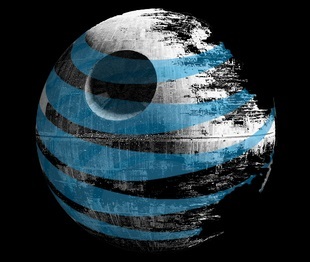 Begun, the net neutrality wars have. A lawsuit has been filed against the FCC after the commission published its open Internet-minded ruleset in the Federal Registry. The opposition is the USTA (United States Telecom Assocation), the trade organization -- led by the likes of AT&T and Verizon executives -- that represents the telecom industry. The goal of the lawsuit, which was filed in Washington D.C., challenges the legality of the new rules, the reclassification of broadband as a telecommunication service, specifically. "...USTelecom believes the FCC used the wrong approach to implementing net neutrality standards, which our industry supports and incorporates into everyday business practices," said USTA President Walter McCormick in a statement. "Our appeal is not focused on challenging the objectives articulated by the President, but instead the unjustifiable shift backward to common carrier regulation after more than a decade of significantly expanded broadband access and services for consumers under light-touch regulation." The lawsuit is an expected move, the broadband providers in the United States are resisting their reclassification from "information service," to the more heavily regulated "telecommunications service." And while FCC Chairman Tom Wheeler expects to successfully defend his commission's new ruleset in court, the last telecom v FCC bout ended with the former smacking down the latter.